We have been informed by Kent County Council that there will be two way traffic control on Giles Lane outside the Colyer Fergusson building for works to be completed by South Eastern Power Networks. 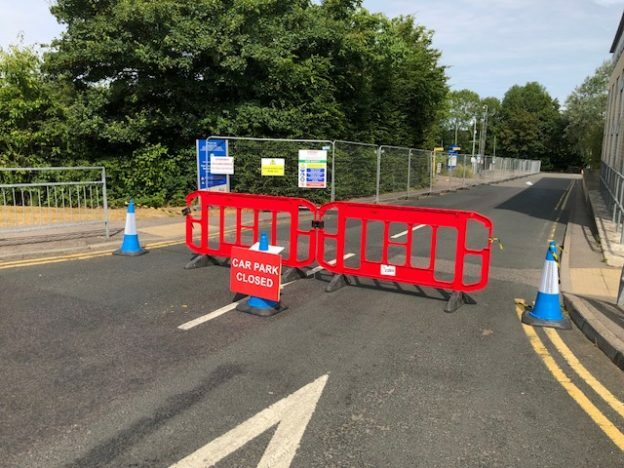 To preserve the private road status of Park Wood Road, University Road, Darwin Road and Library Road, these roads will be closed from 8.00 Monday 25 December until 8.00 Tuesday 26 December. Similarly, Chatham Historic Dockyard Trust are closing Pembroke Gate North Road from 22.00 Sunday 24 December to 22.00 Monday 25 December. You may park within a marked bay without displaying a permit during the University shut down (midday 21 December 2017 to 2 January 2018) as the Transport Team will be unavailable to provide parking permits. This entry was posted in News and tagged christmas, Giles Lane, parking disruption, private road, road closure on December 12, 2017 by Miriam Sandiford. 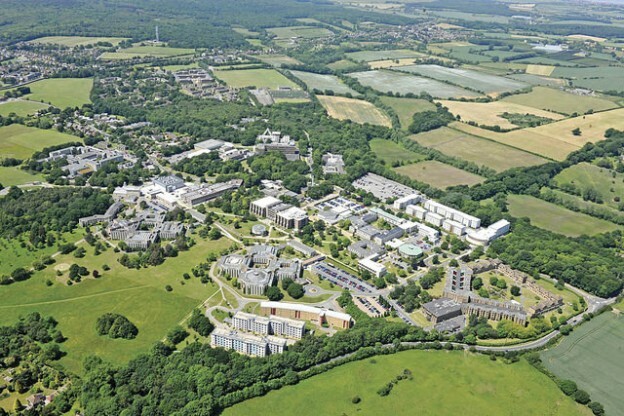 To assist with Kent Hospitality Canterbury Retreat, the Marley Court car park will be closed from 6-22 August inclusive. 2 accessible bays in Keynes car park (near enclosed cycle shelter) will be unavailable due to building works, for approximately 4 weeks as requested by Estates. Please contact the Transport Team if you are concerned about the temporary closure of these accessible bays so we can assist you. The other 4 accessible bays in Keynes car park will still be available. Approximately 15 bays will be closed in the morning so Grounds Maintenance, Estates, can carry out hedge cutting. The bays should be reopened by 12.30. Large sections of Giles Lane will be closed overnight (19.00-05.00) for 5 consecutive week nights for resurfacing and relining works by Kent Highways. This work is being carried out overnight to reduce disruption but may be noisy. A diversion will be in place. We have been informed that access to a point within the closure will be available if legitimately needed. Access required to get out of the car parks after 19.00 via Giles Lane will also be available. Emergency access will be maintained throughout. Approximately 15 parking bays outside Woodys (Park Wood Courts car park) will be closed until building works on the Woodys area is complete. The works are due for completion in May 2018. This project will mean a loss of car parking bays within this area. However, the majority of bays will be reinstated to the rear of Park Wood Admin and a couple will be reinstated within other Park Wood car parks. Improvements to pedestrian and cycle ways will be incorporated as part of this project. This entry was posted in News and tagged car park disruption, Giles Lane on August 18, 2017 by Miriam Sandiford. If you are parking in the area shown in the photograph, located next to the Woolf pelican crossing on Giles Lane, you may be issued with a Parking Notice from Canterbury City Council. 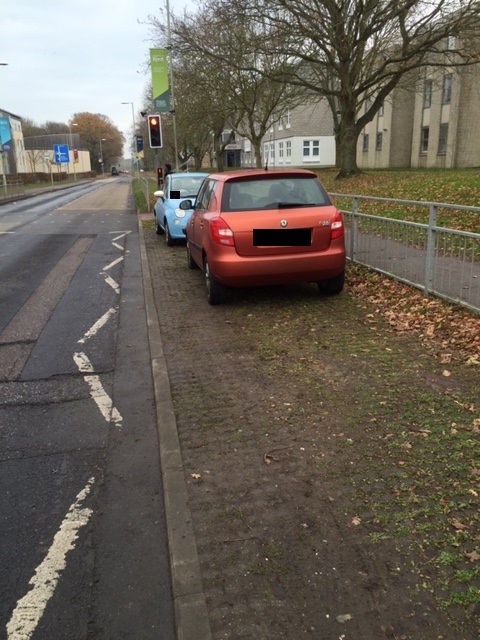 This area is part of the public highway and is therefore enforced by Canterbury City Council Parking Enforcement Team. We understand the area is sometimes used by Kent Highway service vehicles and is not a designated parking area. Parking in this area is a cause for concern as vehicles parked here could potentially restrict vision to drivers on Giles Lane of pedestrians at the crossing. Please only park in marked bays on campus in the area which your permit or parking ticket is valid for. This entry was posted in News and tagged Giles Lane, parking, Parking enforcement on January 9, 2017 by Miriam Sandiford. 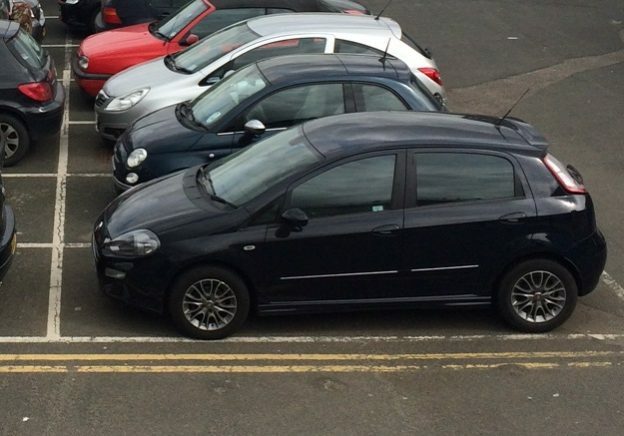 Following Kent Union’s Party in the Car Park, Giles Lane Blue Zone car park is now reopened. Giles Lane Pink Zone remains closed today until a porta cabin has been removed. Once the porta cabin has been removed the car park will be fully opened. We aim to have Giles Lane Pink and Blue zone car parks fully opened tomorrow. Thank you for your cooperation. Giles Lane Pink Zone is now open with the exception of some bays which are closed to allow for the removal of the portacabin. This entry was posted in News and tagged Giles Lane, parking on June 6, 2016 by Miriam Sandiford.